AED Heidi Taylor had a chance to see a workshop production of Decoder 2017 in New York in June, and is excited to have Mallory Catlett and her team in a studio residency in a lead up to their Club PuSh performance. Register now for the workshop, presented by PTC, Theatre Conspiracy and the PuSh Festival, with a creative team that won a Bessie Award for its work. 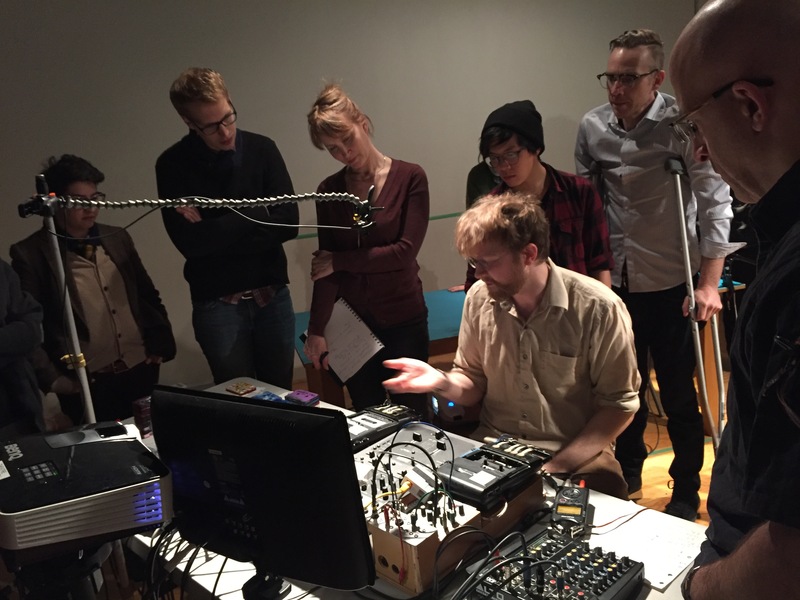 Focused on the use of technology in performance practice, the Decoder 2017 workshop will create a lab environment to showcase and demonstrate specific software and hardware, both analog and digital, used in the creation of Mallory’s work.